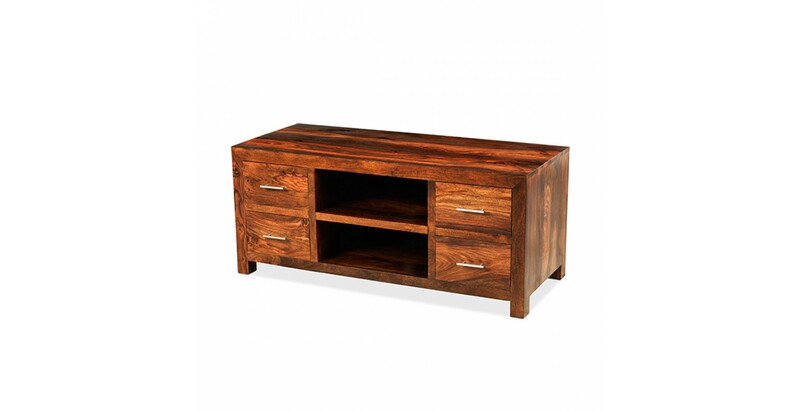 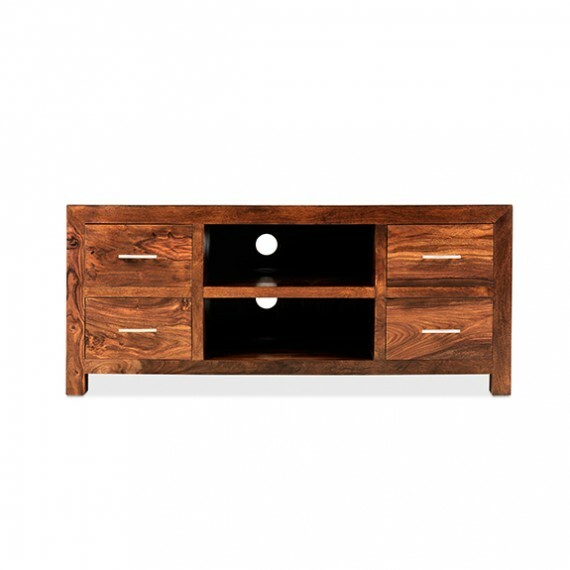 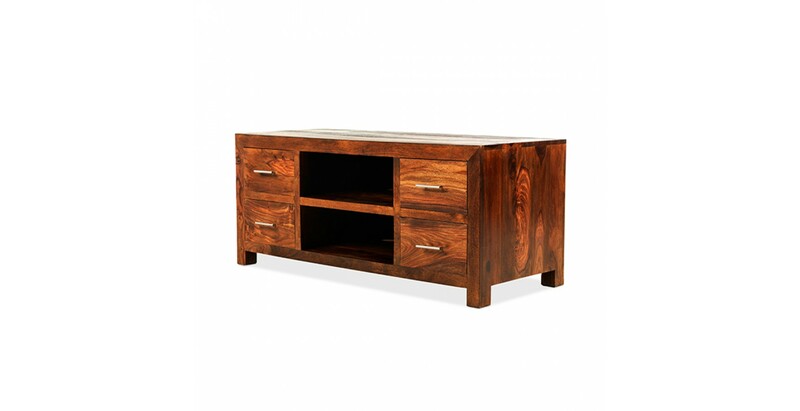 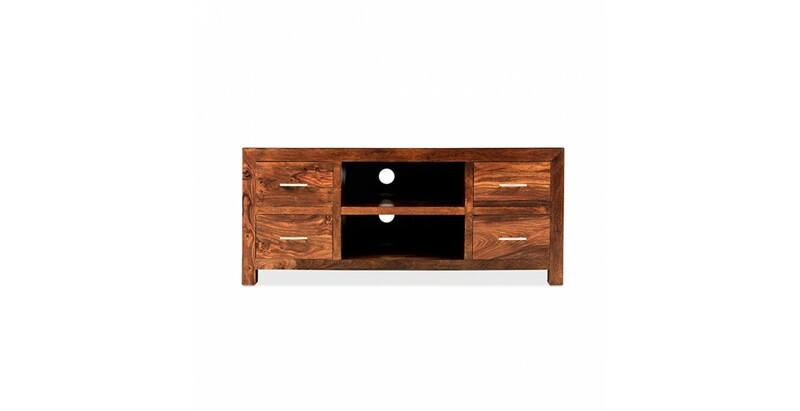 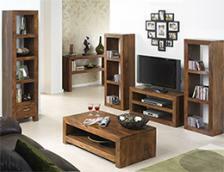 You'll have no trouble fitting your TV on top of this clean-lined unit – it's 120cm wide. 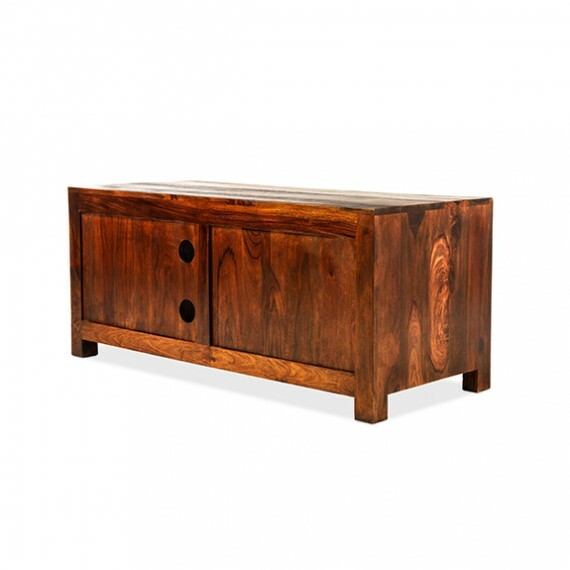 Crafted by hand from Indian sheesham wood – renowned for its denseness, durability and dark exotic appearance, it will fit right in to any contemporary decorating scheme. 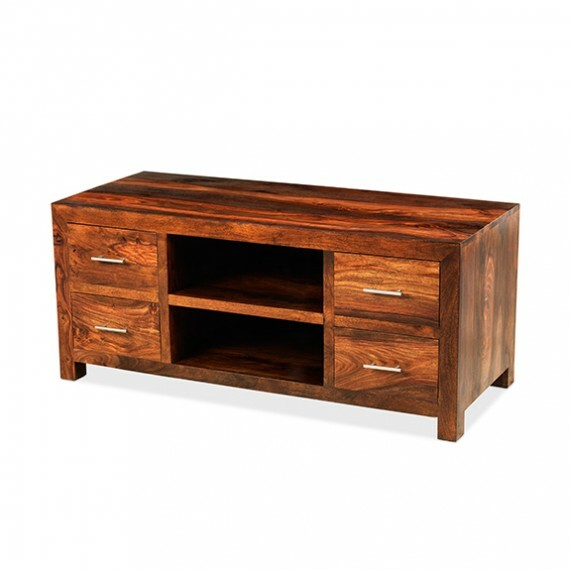 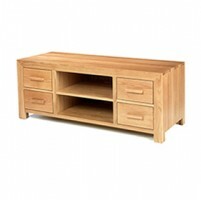 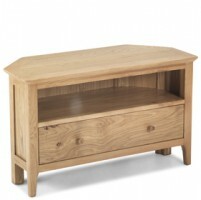 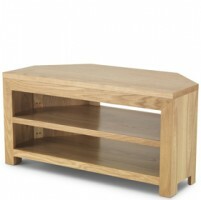 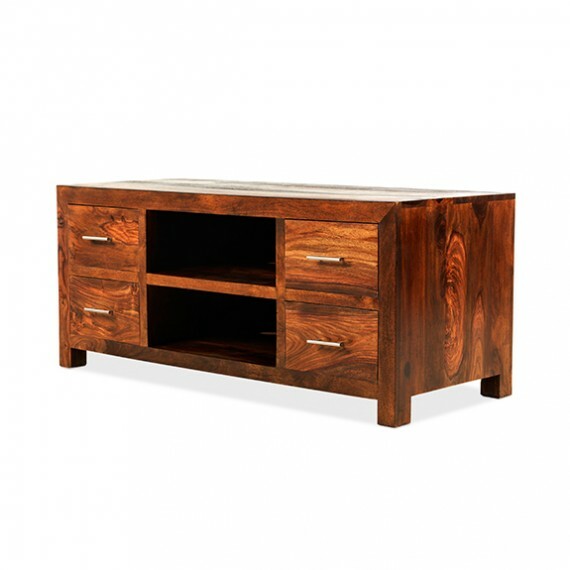 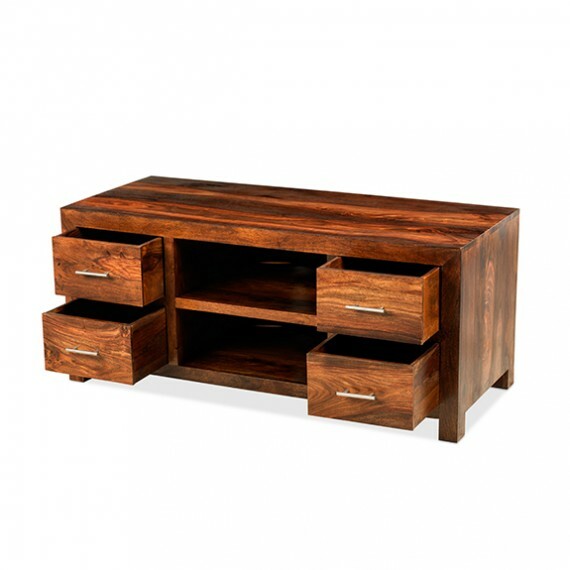 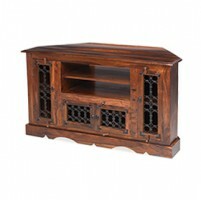 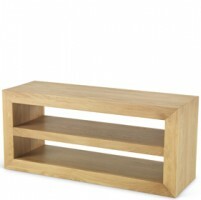 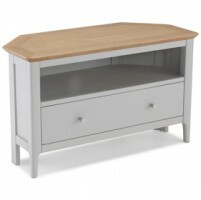 Finished with a natural lacquer that brings all its unique natural markings to the fore, it offers all the storage you'll need for your DVD player, games consoles and related paraphernalia in the two central open compartments and four drawers with brushed metal handles.